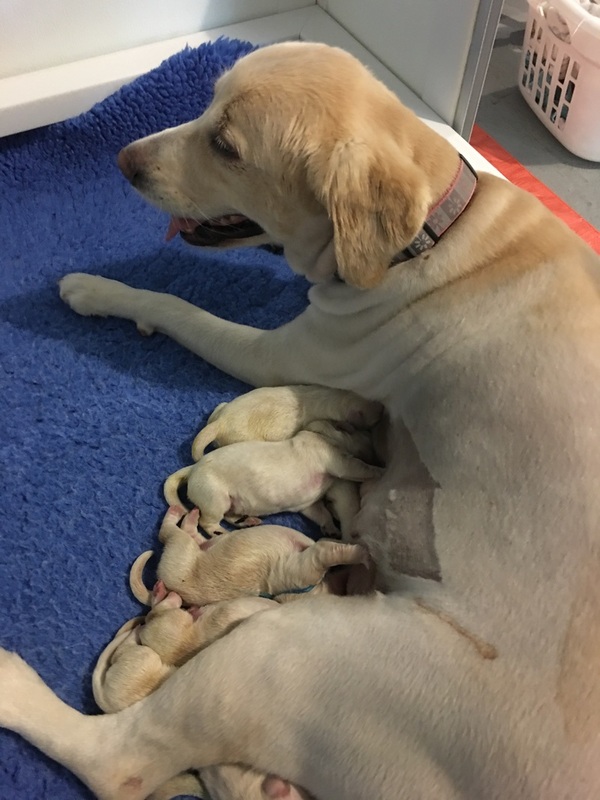 Five English Cream Golden Retrievers were born October 9, 2016. We would like to thank Dr. Chad Cosgrove and his team from NAMC for performing a last minute C-Section on a Sunday (Doc's day off). 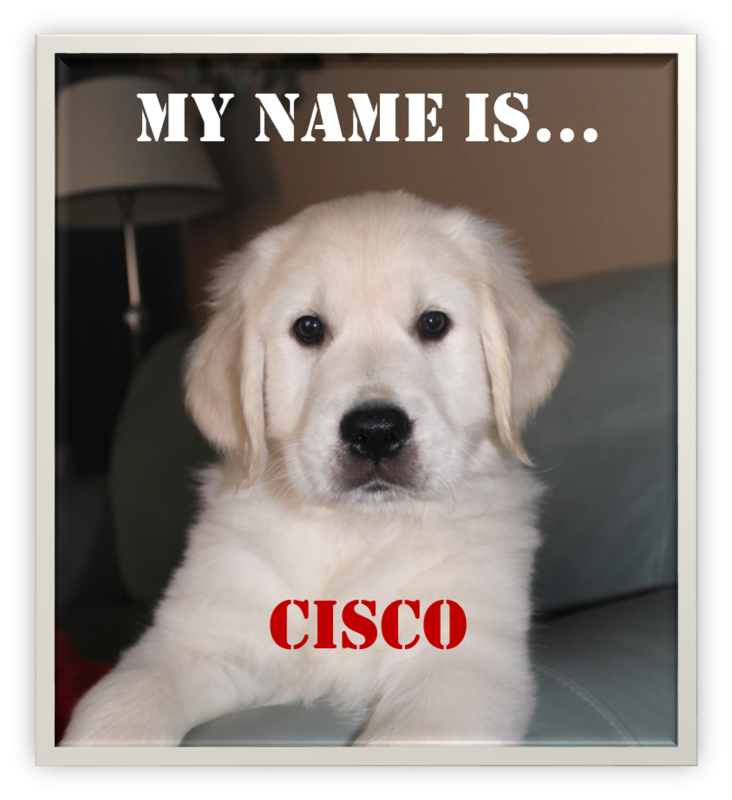 THE NAME A PUPPY AUCTION FOR THIS LITTER HAS CONCLUDED. Each of these pups are in need of a name! Some of these pups will go on to become service dogs to assist a person with a disability. 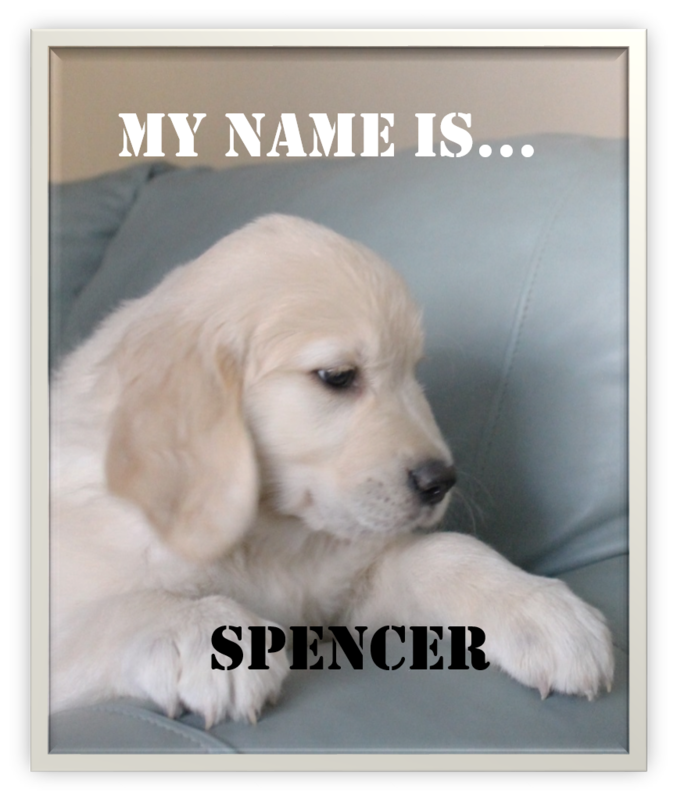 You can win a chance at naming a puppy through our Name a Puppy Auction. 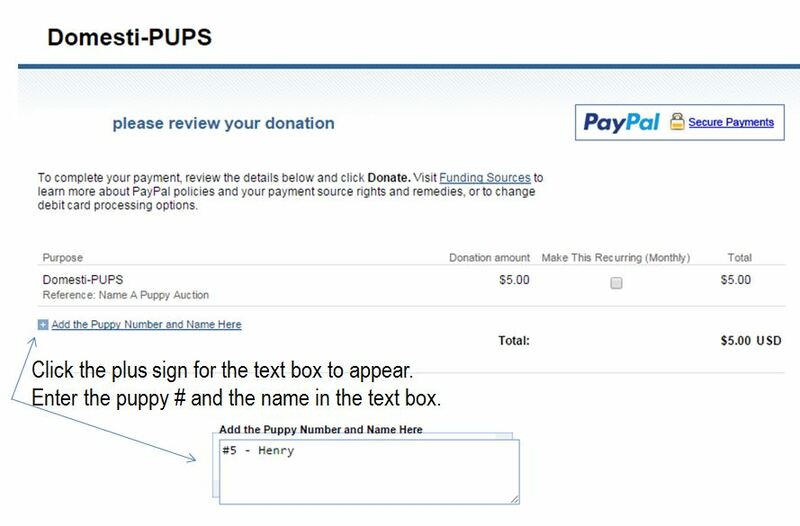 Donate $10 or more to win a chance to name a puppy, but be careful, you might just be out-bid! 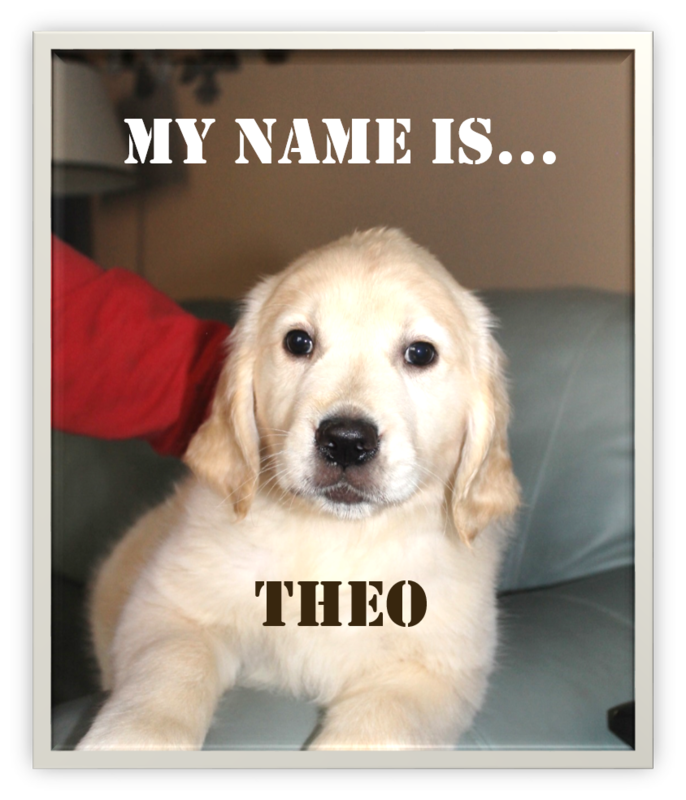 Top donor names the puppy! Names will be announced when the pups are 8 weeks of age. The first female will not be included in the Name a Puppy Auction. 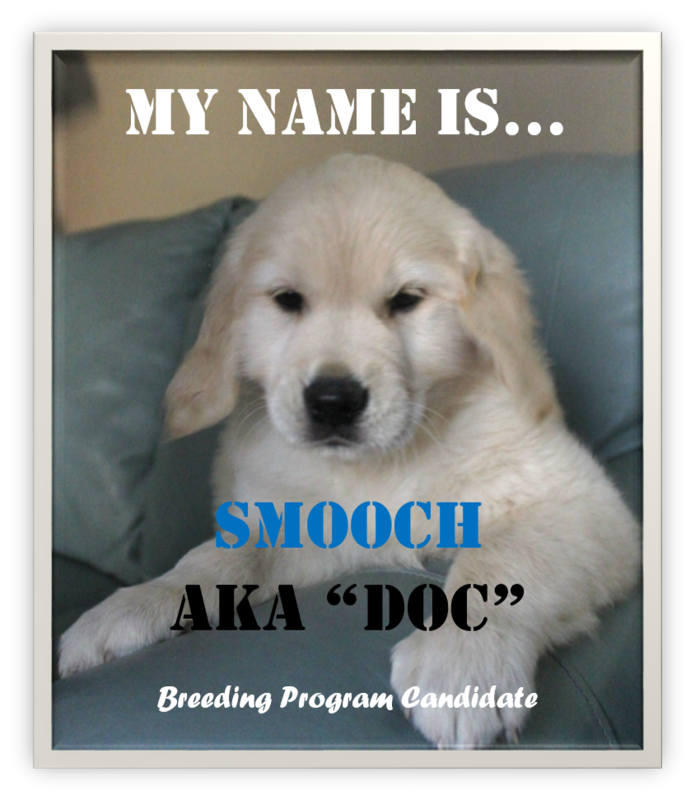 She will be named Smooch in memory of Kenneth Blessing. Domesti-PUPS received a $5,000 donation from the Blessing Estate, and we thought it only fitting that we named one of our pups after one of Ken's favorite dogs. May their gift continue giving through the future service of this dog. ﻿$10 Donation; name submission: NOVA, by Mary M.
$30 Donation; name submission: OAKLEY, by Judy C.
$10 Donation; name submission: YOGI, by Mary M.
$50 Donation: name submission CHARLIE; by Pam M.
CLICK HERE TO NAME THIS PUPPY!